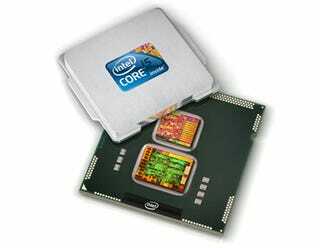 How Fast Are the New Intel Core i3 Mobile, i5 Mobile, and i5 661? The energy reductions are described as "significant," but there's no real metric to judge it by. All of the current chips are either currently available or will be in the next two weeks. There's no word yet on when we might see new 32nm quad core processors, although we're told it's going to be in the near future. Intel's also rebranded Centrino to cover its wireless products, and today announced three new Intel Centrino Wireless adaptors with dual-band Wi-Fi support and 802.11n multistream capabilities. Honestly, there's not a ton of new information being announced this morning, which makes sense with Intel Big Boss Paul Otellini delivering a keynote this afternoon. We'll be on hand for that as well, looking out for any bombshells. The entire spec rundown can be found here. Full release ahoy! INTERNATIONAL CONSUMER ELECTRONICS SHOW, Las Vegas, Jan. 7, 2010 – Intel Corporation introduced its all new 2010 Intel® Core™ family of processors today, delivering unprecedented integration and smart performance, including Intel® Turbo Boost Technology1 for laptops, desktops and embedded devices. The introduction of new Intel® Core™ i7, i5 and i3 chips coincides with the arrival of Intel's groundbreaking new 32 nanometer (nm) manufacturing process – which for the first time in the company's history – will be used to immediately produce and deliver processors and features at a variety of price points, and integrate high-definition graphics inside the processor. This unprecedented ramp and innovation reflects Intel's $7 billion investment announced early last year in the midst of a major global economic recession. Intel is unveiling several platform products, including more than 25 processors, wireless adapters and chipsets, including new Intel Core i7, i5 and i3 processors, Intel® 5 Series Chipsets, and Intel® Centrino® Wi-Fi and WiMAX adapters that include new Intel® My WiFi features (see charts below). More than 400 laptop and desktop PC platform designs are expected from computer makers based on these products, with another 200 expected for embedded devices. New 2010 Intel Core processors are manufactured on the company's 32nm process, which includes Intel's second-generation high-k metal gate transistors. This technique, along with other advances, helps increase a computer's speed while decreasing energy consumption. "For the first time, there's a new family of Intel processors with the industry's most advanced technology available immediately at virtually every PC price point," said Sean Maloney, executive vice president and general manager of the Intel Architecture Group. "These smart processors adapt to an individual's needs, automatically providing a ‘boost' of performance for everyday applications. They become energy efficient to the point of shutting down processing cores or reducing power consumption to provide performance when people need it, and energy efficient when they don't." Based on Intel's award-winning "Nehalem" microarchitecture, these new desktop, mobile and embedded processors deliver smart performance for music, gaming, videos, movies, photos, social networking and other demanding mainstream applications. In addition, ultra-thin laptops with all new 2010 Intel Core processors inside provide a balance of performance, style and long battery life for sleek systems less than an inch thick. New Intel Core i7 and Core i5 processors also feature exclusive Intel Turbo Boost Technology1 for adaptive performance, and thus smarter computing. Intel Turbo Boost Technology1 automatically accelerates performance, adjusting to the workload to give users an immediate performance boost when needed. Intel® Hyper-Threading Technology2, available in Intel Core i7, Core i5 and Core i3 processors, enables smart multi-tasking by allowing each processing core to run multiple "threads," providing amazing responsiveness and great performance, balanced with industry-leading energy efficiency when processing several tasks simultaneously. Supporting the all new 2010 Intel Core™ processors, the Intel 5 Series Chipset is the company's first single-chip chipset solution, evolving from simply connecting components to providing a range of platform innovation and capabilities. The Intel Core family also has power-saving techniques like one Intel calls "hurry up and get idle" or "HUGI," which enable processors to finish tasks quickly, while preserving battery life. The all new 2010 Intel® Core™ processor family is the first to integrate graphics into mainstream PC processors. With Intel® HD Graphics, the processors deliver stunning visuals and smooth high-definition (HD) video playback. It's also the industry's first integrated solution to deliver multi-channel Dolby* TrueHD and DTS* Premium Suite home theater audio. In addition, Intel HD Graphics support mainstream and casual 3-D gaming without the need for an add-in video card, and offer full support for the new Microsoft Windows* 7 operating system. Another intuitive feature available to mainstream notebook buyers includes Intel Switchable Graphics, which allows users who play very graphics-intense games to automatically switch between Intel's integrated graphics to a discrete version on the fly, without having to re-boot, for optimal battery life and performance. The new 2010 Intel® Core™ embedded processors target devices that leverage PC-like operations in the smarter connected world, including ticket kiosks and self check-out machines, ATMs, digital signs, medical equipment, communications gear and industrial machines. For example, system owners at a bank or retail store can better manage their ATMs, kiosks or a smart register using these processor platforms. These embedded devices can optimize workloads, conserve power consumption, remotely manage their connected network, and even gather metrics based on video analytics for more effective advertising campaigns. Intel also expanded the performance-per-watt platform choices for embedded by adding error correcting code memory for applications that require a higher data integrity standard. The embedded processors, together with Intel 5 Series chipsets, offer an extended, seven-year life cycle that better matches how long these devices are in the marketplace. The Intel Centrino® brand now represents Intel's wireless products, targeting a broader range of users than ever before. Three new Intel® Centrino® Wireless adapters feature advanced 802.11n multi-stream capabilities and dual-band support for WiFi, offering users up to 8 times greater speed3, consistent coverage and reliable connectivity while consuming minimal power. Intel offers a complete line of high-quality adapters and its integrated WiMAX/WiFi adapter supports 2.3, 2.5 and 3.5GHz WiMAX bands delivering up to 20Mbps on the go. All the adapters support Intel® My WiFi® Technology, which allows users to turn their laptop into a virtual hotspot and directly connect wireless devices to their laptop. Remote WiFi client management with Intel Embedded IT and Intel® Active Management Technology 6.0 also helps enable remote client management for the enterprise. In addition, entry-level workstations now available based on Intel Core i5 with Intel HD graphics or an Intel® Xeon® 3400 series processors and the Intel® 3450 Chipset give users access to a workstation platform built around the efficiency, power and reliability demanded of a professional workstation. Intel will also offer the new 2010 Intel Core processor family on Intel® vPro™ Technology later in the quarter to help IT managers and corporations take advantage of hardware-assisted security and manageability capabilities.